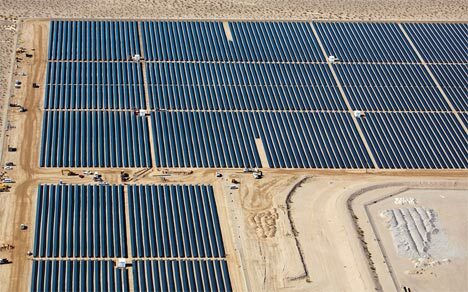 Can clean solar energy offset dirty production methods? Solar energy is sustainable, sure. But what about making a solar panel? It’s an oft-overlooked aspect of an industry that is given a green halo because of what it contributes to our renewable energy future. The Silicon Valley Toxics Coalition, an organization dedicated to e-waste advocacy work, explores the dirtier side of solar in its 2011 Solar Scorecard, which rates solar providers on whether their solar panels come from sources as clean as the energy they produce. The scorecard, now in its second year, received responses from 46% of the PV industry market, most of whom score well (the scorecard gives companies a 1 to 100 rating) on factors like disclosure, supply chain monitoring, green jobs (work environments where employees aren’t exposed to toxic chemicals), and recycling. An impressive 70% of respondents say they would support mandatory recycling, and major companies like First Solar (score: 87), Trina Solar (score:89), and Abound Solar (score: 87) appear to be models for the industry. But therein lies the problem. It’s easier for large companies to maintain sustainable supply chains because they have the resources to do it. The smaller companies are just struggling to turn a profit. “Smaller companies working on sustainability early need to be applauded. They are unusual in their efforts as startups,” says Sheila Davis, executive director of SVTC. supply chain management,” explains Davis. But perhaps the most troubling aspect of the industry is that we have no comprehensive way to tell how poorly the majority of solar companies are managing their supply chains. Only 46% of the solar market responded to the SVTC’s scorecard request, so what are all the other companies doing? If they didn’t respond, they probably don’t want us to know.